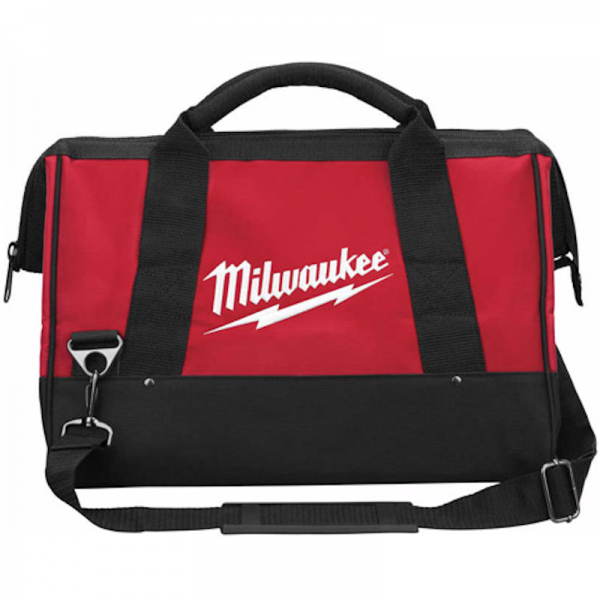 The Milwaukee M18BAGM is a durable medium sized tool bag that would be the perfect size to house a drill, a couple of batteries and a charger for example. Its six internal pockets are perfect for those all important on the job accessories that you may need whilst out and about. This model does NOT come with a carry strap although the buckles are in place on the bag if you already have an existing strap.